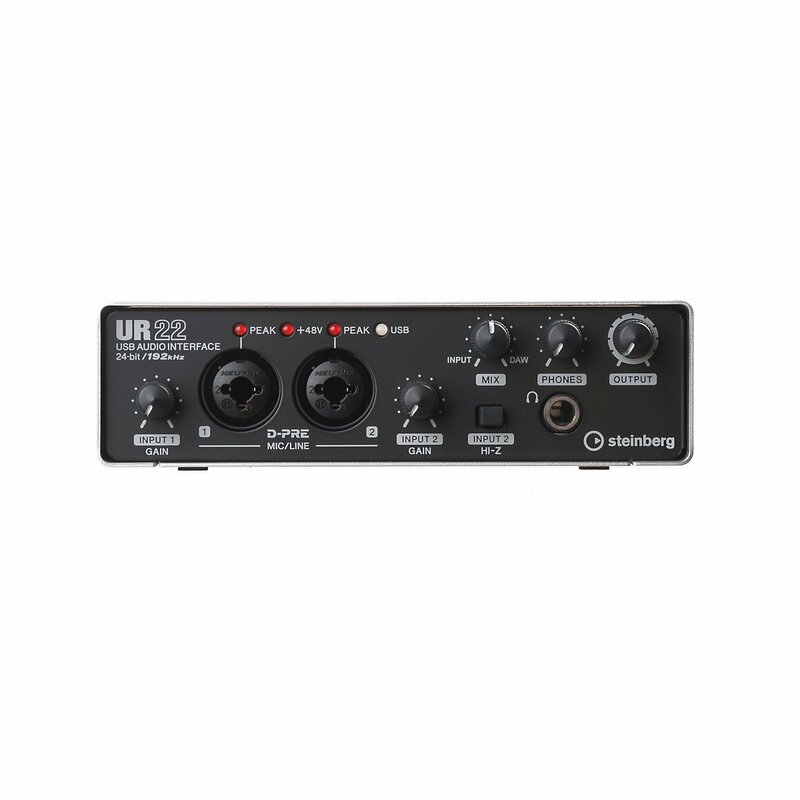 Ultimate Outsider: Do you need an audio interface? Do you need an audio interface? When music producers mention “audio interfaces,” they’re talking about devices that enable you to record music from external sources into your computer and play music from the computer through headphones or studio monitors. While some interfaces offer digital inputs and outputs (ADAT, S/PDIF, AES, etc. ), almost all interfaces provide at least a couple analog inputs and outputs, meaning they have both analog-to-digital converters (ADCs) and digital-to-analog converters (DACs). Nearly all modern computers have some form of audio ADC/DAC already, whether it’s part of the chipset on the computer’s mainboard, or a discrete card (like a SoundBlaster) plugged into a PCI or PCI Express slot of a desktop PC. Some folks say “sound card,” whether they’re referring to onboard audio, a SoundBlaster, or an external audio interface. This is very confusing! Just know that if I say “sound card” below, I’m only referring to integrated audio chipsets or consumer add-on cards, like SoundBlasters. Audio interfaces are (usually) just for music production. PC sound cards and integrated audio chipsets are made for “all-purpose” use. They’re typically the default playback device for all system sounds, games, and Internet browsers, where as true audio interfaces normally default to only handling sound from applications that explicitly use them (for example, most DAWs require you to select an audio device, rather than just defaulting to your computer’s built-in playback device). On Windows (and I presume Mac?) you can adjust your computer’s settings so that all system sounds go through your audio interface (you make the interface your default playback and recording device), but that’s rarely an optimal configuration for music production. Audio interfaces have pro audio connections. The most obvious difference between sound cards and dedicated audio interfaces is the connections. It is rare to find a sound card that includes any analog audio connection types other than 1/8" “headphone jack” style ports, and rarer still to find any kind of digital audio I/O connectors on a computer with integrated audio. True audio interfaces generally have balanced 1/4" connections and/or XLR connections (frequently you’ll find so-called combo jacks that can accommodate both kinds of cable), so you can plug any traditional microphone, instrument, or pro audio equipment into them. Audio interfaces usually have preamps. Most audio interfaces also include built-in preamps, which amplify the weak signals from microphones and guitars. You can usually adjust the input levels on sound cards, but the amplified signal is often quite noisy, and the interfaces/control panels for making these adjustments are frequently arcane and imprecise. Audio interfaces offer better performance. Digital audio is never “instant.” There’s always some delay/latency involved when recording digital audio, and your computer, your DAW settings, your audio hardware, and all related device drivers play a role in how long the delay actually is. “Low latency” is a big selling point for many audio interface manufacturers, so they strive to deliver drivers and features that enable users to hear what they’re doing in as close to real time as possible. The drivers for most PC sound cards usually simply aren’t optimized with this in mind, mainly because they’re mostly used for playback, not recording/mixing. Many don’t even come with ASIO drivers at all, meaning you might be stuck with 3rd party “band-aid” solutions like Asio4All just to let your DAW access the sound card. Audio interfaces can sound better. There’s also the question of sound quality, which is not as simple a topic to tackle as some seem to think. The main issue with most computer sound cards is noise. Their physical connectors can be susceptible to hum from electromagnetic interference, the “noise floor” is often high (meaning you have less “headroom” in which to record your audio signals without having to deal with background noise), and some folks believe that the quality of the ADC/DAC just doesn’t match that of pro interfaces in an audible, qualitative way. I’ll take a closer look at this possibility in another post, but I will generally agree that your best chance at getting the best sound with the least noise/interference is to get a good dedicated audio interface. Audio interfaces offer more flexibility. While typical PC sound is either built into your motherboard or mounted inside your PC’s case, most audio interfaces are external devices which connect to your PC via USB, Firewire, Thunderbolt, etc. There are also PCI and PCI Express audio interface cards, however these are usually wired to external expanders or “breakout boxes” for the actual audio connections. You can get audio interfaces with many analog inputs and outputs (versus the single stereo input/output pairs you find on most PCs), and you can find interfaces with numerous different kinds of analog and digital audio connectors. Also, many of the more expensive interfaces have very advanced software that enables you to route audio and configure the device’s settings and easily switch between various configurations. What is a converter, and how is it different from an audio interface? Audio interfaces connect to computers, while converters usually don't. All audio interfaces have some way to connect to a computer (USB, FireWire, or Thunderbolt ports, for example). Occasionally you'll find something marketed as a "converter" that also offers computer connectivity- perhaps with the use of an optional add-in card- but that's generally not the case. Audio interfaces almost always perform both analog-to-digital and digital-to-analog conversion, but some converters do only one or the other. Converters are sold in AD, DA, and AD-DA models. Interfaces generally do both. Most interfaces have microphone preamps, but most converters don't. A converter simply converts a signal between the analog and digital domains; it generally doesn't try to do anything other than that. Converters are generally more expensive than interfaces. You'll have a hard time finding a standalone converter for anything less than $1500 USD, and most models are in the $2000-3000 range. For the rest of this article, I'm only talking about audio interfaces. Do I need an audio interface if I mostly work with soft synths? Excellent question! The most important purpose of an audio interface is to give you a reliable way to record external signals, such as vocals, guitars, or hardware synthesizers. When you work exclusively with plugins (like Sylenth1, Massive or Kontakt), you're not technically recording any audio- in fact during the rendering process (when you mix your DAW project down to a stereo audio file), your computer doesn't even use your interface at all. One occasional exception to this is interfaces that include special DSP features that actually process your audio like effects plugins would in your DAW. The UAD Apollo interfaces are an example of this. The majority of interfaces- even most high-end ones- don't do this. Although an interface won't necessarily affect your sound quality when doing totally in-the-box work, they can have other benefits. Since audio interfaces often perform better than built-in audio, if you trigger your soft synths with a MIDI keyboard or pad controller, you might get better real-time performance when recording new MIDI parts, because there will be less of a delay between when you press a key or pad and when you hear the sound triggered in your DAW. Another place an audio interface can help a totally in-the-box producer is by giving you better monitoring options (pro style amplified headphone jacks and balanced output connections) than you can get by plugging speakers and headphones directly into your computer. Audio interfaces don't make plugin-based music sound any better, except for special cases where the interface provides DSP features that are used during rendering/mixdown. Audio interfaces can reduce/eliminate noticeable lag when triggering software or hardware synths from physical MIDI controllers. Audio interfaces are an important part of your monitoring/playback environment. What are some good prosumer audio interfaces? Most of the major manufacturers offer a wide array of solid options. I’m going to go into much more detail on some specific devices in another post, but right now I’ll offer some quick recommendations for interfaces I’ve personally owned, used, and tested. While there are a number of connectivity options today (USB, FireWire, Thunderbolt, PCI Express, etc. ), I'm just going to list devices that have USB 2.0 support, since that's still pretty universal, and it's perfectly capable of supporting the streaming needs of the majority of musicians. A good entry-level interface should get you at least 2 analog ins and outs and deliver reasonable performance in the sub-$200 USD price category. The Roland Duo-Capture EX has 2 analog ins and outs, plus MIDI in/out. It can optionally run on batteries and serve as an interface for an iPad or other other tablets. I've successfully connected mine to an iPad and a Dell Venue 8 Pro. I also really like the Steinberg UR22. 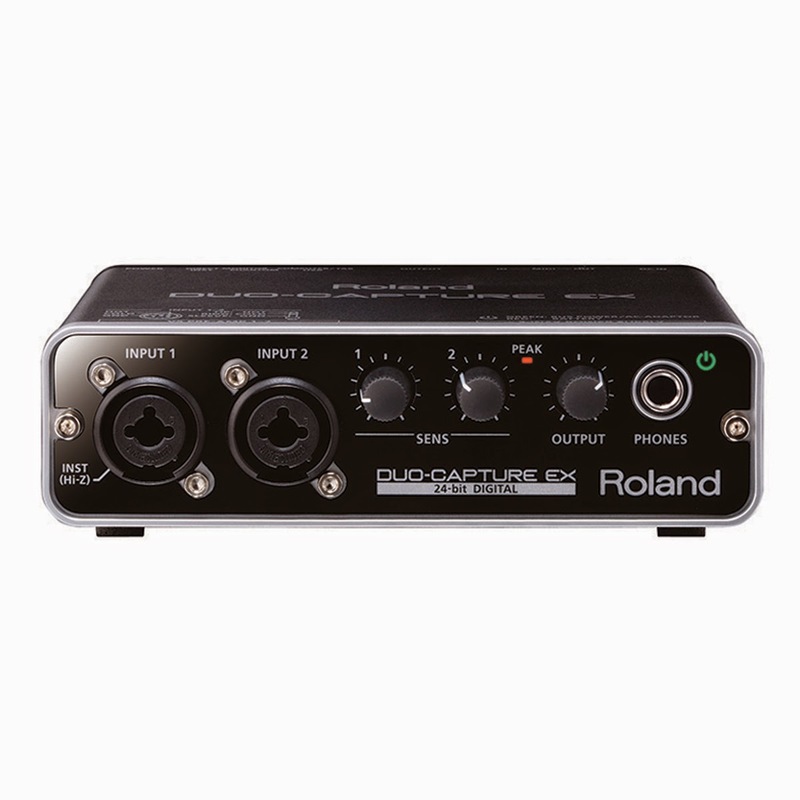 Like the Roland, it's a 2-in/2-out interface with MIDI in/out. While the Steinberg lacks the Roland's tablet support, it offers higher sample rates (up to 192kHz) and slightly better performance. In the middle of the prosumer range, you'll find interfaces with more ins and outs, more I/O options, and often better bundled software for mixing and routing audio. There is a pretty wide range of prices in this category, from around $300-1400 USD. There are a number of "hybrid" interfaces in this range that can support more than one connection type (typically USB + FireWire). The MOTU Track 16 is a pretty solid choice. It offers 8 analog input channels and 4 analog outputs, in addition to a number of digital I/O channels, plus MIDI. It includes CueMix FX software for audio routing and monitoring and has a number of useful level meters right on the hardware. Offers both USB and FireWire 400 connectivity. Also includes "loopback" support, for recording your PC's audio, among other things, and DSP effects, letting you apply reverb or compression to your vocals, for example, without taxing your computer's CPU. At the top end of the prosumer range, you will find interfaces with a large number of analog inputs and outputs, a wider range of digital I/O options, and very low-latency, high-performance drivers. Price-wise, these interfaces can cost between $1500-2300 USD. In 2013, I bought an RME FireFace UFX out of curiosity more than anything else. I just had to know why that interface was so popular with so many producer types. Well now I know. Absolutely the best performance I've seen in any prosumer interface, USB/FireWire connectivity, a huge number of analog and digital ins and outs, four MIDI ports, and the famous TotalMix software, which is limitless in its flexibility. 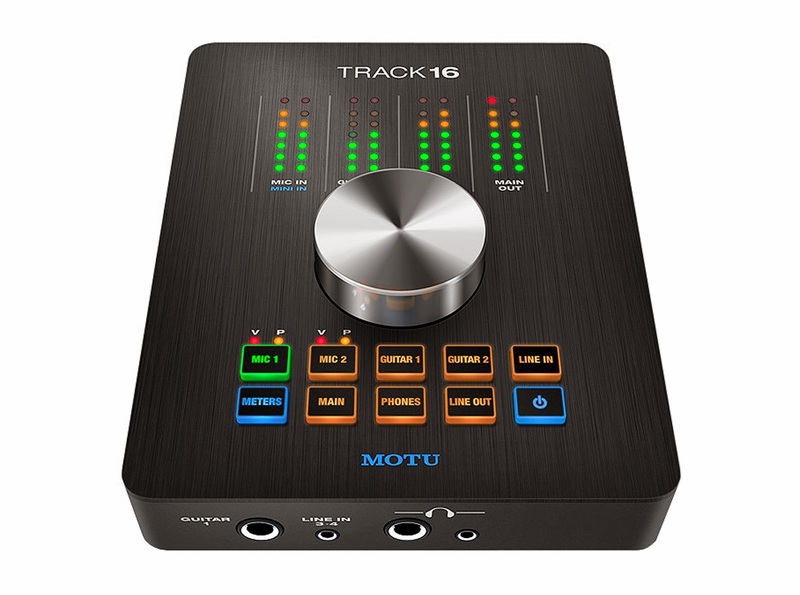 Like the MOTU Track 16 UFX also features loopback and DSP effects. The mixers with built-in interfaces, such as the Mackie ProFX line, make more sense, because they offer expanded I/O options over most standalone interfaces- but they aren't always known for delivering the best low-latency performance. If you don't have any interface at all yet, purchasing one of these multi-function devices might help you out (since something's better than nothing), but ideally a standalone bespoke audio interface is going to give you the best performance and flexibility. When shopping for an audio interface, keep in mind that when you get to the high end, you're generally paying for features, performance, and reliability- not necessarily audibly better sound quality. If you have a solid entry-level interface and you're not satisfied with the quality of your recordings, it's very unlikely that purchasing a more expensive interface will improve things. Try to focus on how many inputs and outputs you think you'll need, what features you think would be useful, and pay close attention to user reviews to learn about potential performance and stability issues. If the price is right and most users seem to be happy with it, you're probably gonna be okay. @Eman 08 - Digital I/O on a converter is not the same as a USB/FireWire/TB data connection. It's for chaining digital devices together (mixing desks, recording devices, interfaces, etc). Most computers don't have on-board spdif/toslink/etc connectors; you usually need some kind of interface between the converter and the PC. So that's what I was talking about. And what you say about your device's converters having an effect on ITB-rendered audio is just not correct. As I believe I mentioned in the post, the only time your interface makes a difference there is if it's something like a UAD unit with onboard DSP effects that you can engage as part of your mix; and even then it's not a matter of the converters. An interface's converters are only used when recording or playing back audio, not when rendering. Seems like you are talking about something else because pretty much all hardware standalone A/D D/A converters have to connect to your computer at some point to even be useful. The converters I'm talking about is like Apogee Rosseta, Lynx aurora, Focusrite RedNet 1-2, Mytek 8X192. They would either connect to your computer, either firewire, thunderbolt, Ethernet, or comes with a PCIe card to plug into your computer. You need high end converters to hear your mix to judge and make decisions, because mixing and mastering with your built in sound card and then rendering it will just only sound as good as the built in sound card that is of lower quality. That's why converters have much higher line output Dynamic ranges. You typically get wider stereo imagining and much cleaner sound with flat frequency response when mixing with high end DAC converters that you wouldn't be able to hear with a cheap sound card. While proper studio monitors and room treatment is also crucial for your mixes. Mastering grand converters like Mytek or Antelope have DAC dynamic ranges from 120-29 (db). All and all an Audio Interface is essentially combining everything into one box instead of all the components separate. 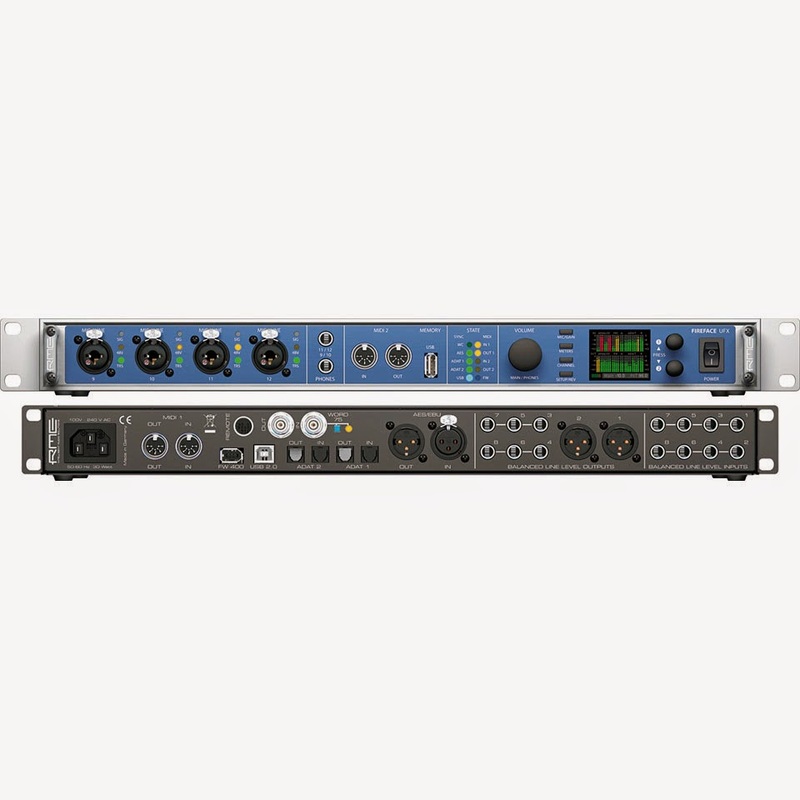 You can basically build your own audio interface rack by picking out your own external mic pre, your own external converter, maybe a compressor and chain them all together and bamm you pretty much have giant audio interface. If you need midi then get add a Motu midi interface. @Eman 08 - I disagree that a computer is always going to be part of the chain. You don't need a computer in order to record audio through a converter into a DAT deck or hard disk recorder, for example. But the fact remains that not all converters have traditional PC computer connectors. (That's half the reason we don't just call every ADC/DAC device an interface.) Some do and in that case, the device basically becomes an audio interface with high-end internal converters. Those that don't might eventually digitally route into a computer, but it's through another device that does have the appropriate computer connection (USB, FireWire, PCIe, etc.)... it may be that most of the converters you're familiar with have typical computer connections, but those are not a requirement for something to be considered a converter. And I apologize if my wording's unclear; sometimes when I say "converter" I'm talking about a standalone device that does analog-to-digital or digital-to-analog conversion (or both), and sometimes I'm talking about the actual component inside an audio interface (or a converter unit) that actually does the conversion- so I hope what I'm trying to convey gets through based on context. Hardly anyone uses ADAT Tape machines anymore etc as that's old technology especially standalone hard disk recording as that's what they did back in the old days. Digital Mixers how ever do hard disk recording because its essentially a computer in the box running an OS. Ricky Martin was the very first artist to commercially release a song recorded and mixed with Pro Tools. I'm talking about modern DAW recording that's why I mentioned Apogee, Focusrite REDNET, Lynx etc as those are designed for DAWs that typically need a PCIe card to connect to the computer. Those kinds of converters you can add your external own mic pres and so on. While an all an one audio interface is you get what you get at an affordable price but by no means its going to sound the same as a $30k audio rig with everything separate. Avid Pro Tools HD System is all separate modules just like Focusrite Rednet as you have the Clock/Sync, Midi interface, Converter with PCie card and mic pre all separate that can cost anywhere between $2-5k pair rack. Then you have a bridge like Focusrite 5 to interface with an analog mixing console and Pro Tools etc for hybrid mixing. And ADAT pipeline for recording the digital outs of like what say hardware romper like the Yamaha Motif or Roland Fantom is typically done by the DAC. But that DAC would needed to be interfaced into your computer if you are recording with a DAW as hardly anyone uses standalone recorders nowadays. @Eman 08 - But the conversation isn't about how people use gear, it's about characteristic properties of said gear. That's all.